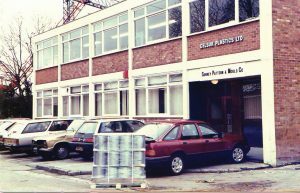 Celsur Plastics was formed in 1960 by Ray Salton, an Australian who was demobbed in the UK from a POW camp in 1945 and decided to give “it a go” in England before returning home. Whilst working in Sales for a Stationery Company he was given the opportunity to buy old acetate x-ray film that a friend collected from all the hospitals in the area and washed for the silver content. Ray had an idea and the redundant blue tinted sheets of acetate were trimmed and three of the edges taped with a coloured cloth tape and the units were sold as knitting pattern holders. 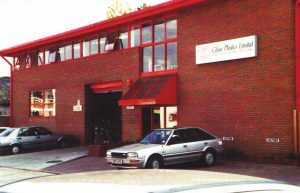 Through advertising in newspapers the business rapidly expanded, out growing the kitchen table and living room and so Celsur Plastics was formed in a purpose built shed in his rear garden in Egham, Surrey. 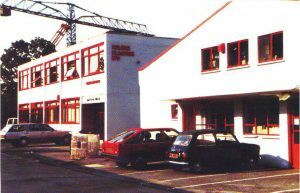 Despite the young family and mortgage Ray committed himself full time to the Company and production grew. Due to a misunderstanding an order was accepted for chair back covers from an Army Regiment and realising acetate sheets weren’t the right medium an alternative was sought. 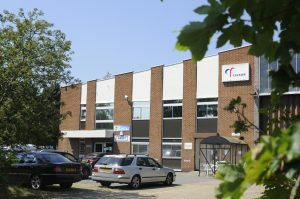 After purchasing a roll of flexible film PVC a method of sealing the edges was required and after a visit to Radyne in Wokingham, Ray returned with a RF welding machine in his car. That proved very successful and pockets, wallets and binders quickly followed, all-purpose made to various Customer specifications. Three moves later, all within a four mile radius, Celsur Plastics now enjoys a thirty thousand square foot production unit employing 100 people. From those very humble beginnings Celsur now holds the Number One position in the UK for its trade boasting a very extensive range of products and services. Their secret to success – having remained geographically local has allowed the very loyal and talented workforce to develop their special skills – 26 employees have now exceeded 25 years’ service. The product range continues to develop, now encompassing an extensive range of security products, leather binders, Paper over board binders, promotional gifts etc. Overprinting and personalisation is made possible by blind embossing, foil blocking, silk screen printing and digital printing. 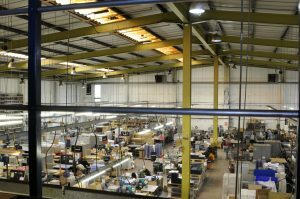 An average of fifty orders are received each day and that order book is now supported by their online shop, 50% of these orders are for next day delivery. 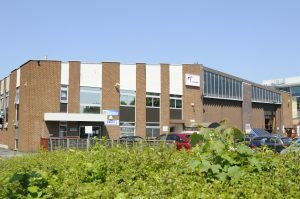 Celsur Plastics looks forward to an exciting future, capitalising on its vast experience and continuing technical development.